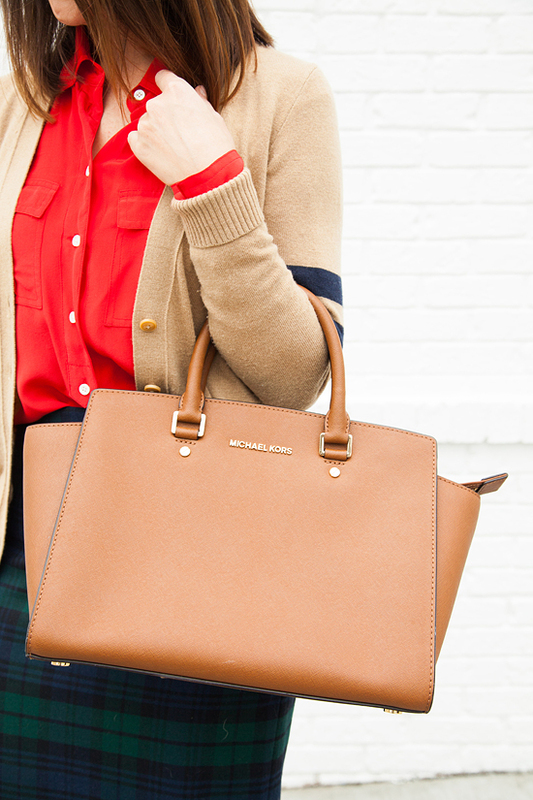 As much as I sometimes try to be edgy/hipster, I am a preppy clothing lover at heart. 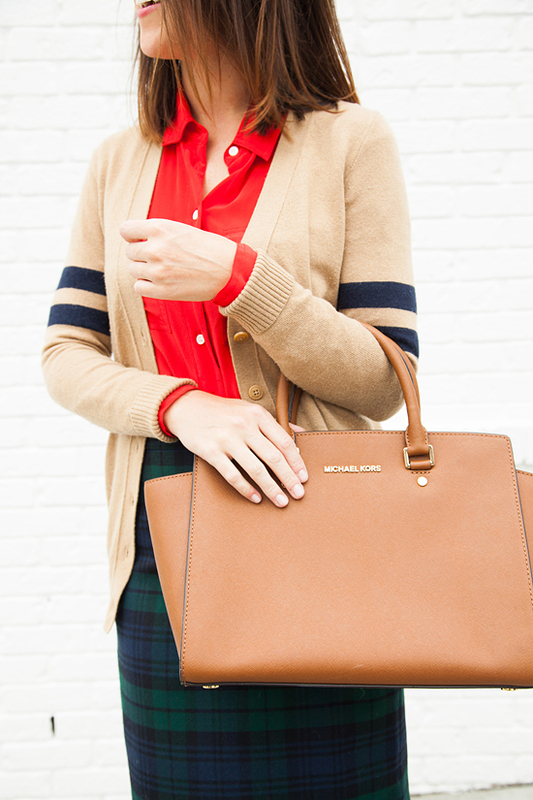 Something about this combo of crisp red, tartan plaid, & varsity inspired stripes makes me beyond happy. 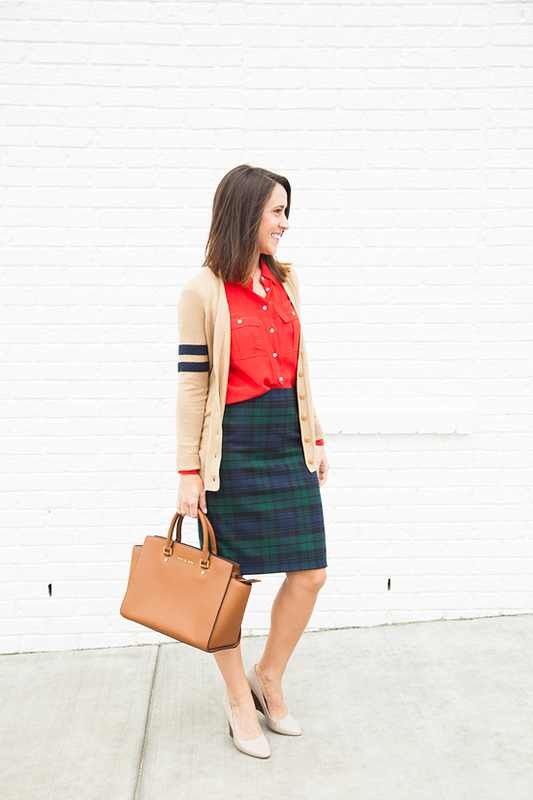 Remix alert: I wore this skirt last school year in a quintessentially teacher outfit - see it here. 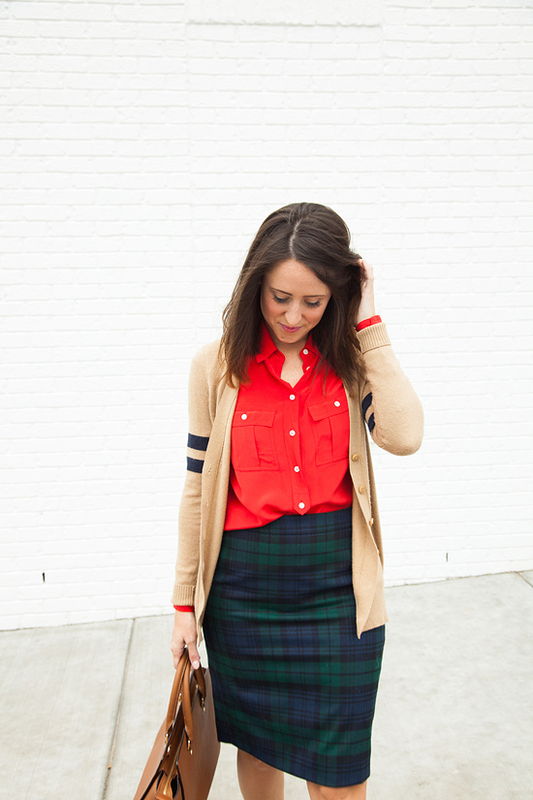 Do you ever try to fight your natural style tendencies?